The Rotary Club of Colombo West along – with its sponsored Moratuwa University Rotaract Club and D.S. 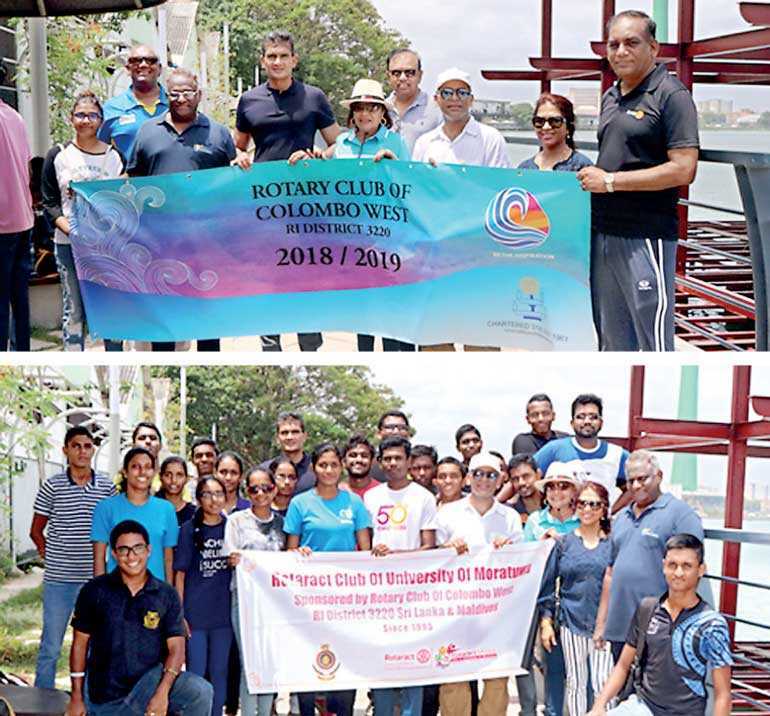 Senanayake College Interact Club volunteered and supported the No-Kunu campaign and helped in the clean-up of the 3 km Beira Lake Walk Way on DR Wijewardena Mawatha last Saturday, 21 July. Rotary which commenced in 1905, is a world-wide organisation whose membership now exceeds 1.25 million in over 200 countries with the motto of ‘Service above-Self’ and in Sri Lanka itself has more than 2,000 Rotarians in 70 Rotary Clubs. The Rotary Club of Colombo West, the second oldest Rotary Club in Sri Lanka with 90 members is actively involved in community service projects across the country. The Rotary Club, that took part of this mega campaign believes and is committed to support the Ministry of Megapolis and Western Development’s endeavours to develop and maintain a public promenade along the brim of the Beira Lake that integrates all existing and new developments and public spaces in this lake front to create a vibrant public realm in future.